Looking for complete solution for two wheeler or four wheeler workshop or service station, your search ends here. 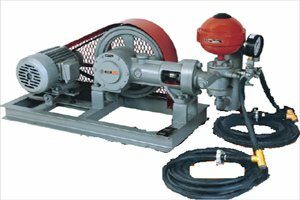 Shoba Electricals is the authorized dealer for ELGI compressors and ATS-ELGI service station equipment. We provide you complete support for service station equipment for water wash, Pneumatic tools, Air Compressors, Tyre Changers, Paint booth, grease pump, Wheel aligner, Wheel Balancers, Spot Welder, hydraulic water wash lift, two post hydraulic service lift, four post hydraulic lift and so on. Shoba Electricals provides best quality and service support during warranty and also after warranty period. We are also dealing with all types of ELGI compressors and spares.